Keri Rusthoi was most recently seen performing the role of Valencienne in “The Merry Widow” with Emerald City Opera this past summer as well as in concert with the nationally-renowned summer music festival Strings in the Mountains. Additionally, she appeared in concert as Anna at the historic Tarrytown Music Hall in the production “Reminiscence” in June of this year. She has also recently performed as Nanetta in “Falstaff” with Opera Southwest, in the role of Musetta from “La Bohéme” with the Emerald City Opera and in concert with the Beaux Arts Festival Symphony Orchestra in past season. Ms. Rusthoi received her training from The Manhattan School of Music, earned a master’s degree from The University of New Mexico, and completed undergraduate work at The Colorado College. She currently studies with the eminent Jean Kraft (Metropolitan Opera-Retired). In recent seasons, Ms. Rusthoi has appeared as opera soloist with the Albuquerque Philharmonia Orchestra under the baton of David Felberg, as well as on stage with the Emerald City Opera, performing the role of Papagena in “The Magic Flute”. She has toured Europe with Opera New York’s production “The Best of Andrew Lloyd Webber”, performing the role of Christine from “The Phantom of the Opera” as well as others. Additional appearances include Despina in “Cosí Fan Tutte” with the Ost-West Internationale Musikakademie, as Lucilla in “La Scala di Seta” with L’Accademia Italiana di Canto, and as Annina in “La Traviata”, Miss Todd in “The Old Maid and the Thief”, and Kjersti in “Giants in the Earth” with the University of New Mexico Opera Theater. Ms. Rusthoi has covered the role of Giulia in “La Scala di Seta” with L’Accademia Italiana di Canto, and performed countless scenes and selections from ”Die Zauberflöte” in the roles of Pamina, Königin der Nacht, and Papagena for The Santa Fe Opera’s Education and Outreach program, for The University of New Mexico Opera Theater, and the Ost-West Internationale Musikakademie. Ms. Rusthoi was also featured in the lead role, Alcina for the Baroque Aria Ensemble’s staging of “Alcina” while attending the Manhattan School of Music. Enjoying a growing concert and oratorio performance schedule, Ms. Rusthoi has performed as soloist in Bach’s “Magnificat” and “The Coffee Cantata” with the New Mexico Symphony Orchestra, Brahms’ “Ein Deutches Requiem” and Schubert’s “Mass in G Major” with the Steamboat Springs Chamber Orchestra & Choir, Faure’s “Requiem” and Mozart’s “Laudate Dominum” with the St. Paul Lutheran Orchestra & Choir, as well as Handel’s “Messiah”, “Judas Maccabaeus”, Bach’s “Magnificat”, and Haydn’s “Missa in Tempore Belli” with The Colorado College Choir & Orchestra. Upcoming concert performances include a return appearance with the Albuquerque Philharmonia Orchestra performing the Josef Canteloube Chansons d’Auvergne in the Fall of 2006 as well as a recital with “Music in the West End” concert series of Aspen, Colorado. Ms. Rusthoi is the Founder and Artistic Director of the Emerald City Opera. She teaches privately, at the Perry-Mansfield School for the Performing Arts, Arts for the Soul and Colorado Mountain College. 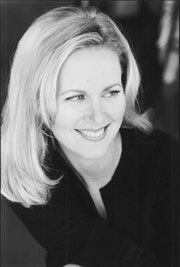 She is the recipient of numerous awards including the Denver Lyric Opera Award and the Marie Clough Gillis Award for Excellence in Vocal Music. She has been a finalist for the Fulbright Awards and the winner of the New Mexico Symphony Young Artist Competition. Page delivered in 0.00185 seconds.